There is actually much more to feeding your dog than meets the eye. To really help your dog benefit from a natural, BARF, feeding regime they need bones! 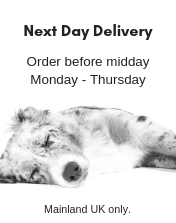 And even though we incorporate bone in to our chicken range there is nothing quite like a real bone to benefit your dog in a variety of ways. 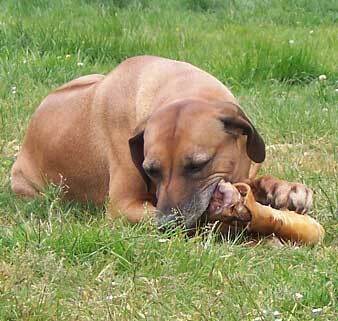 Bones are a natural toothbrush for dogs, clearing away plaque whilst massaging and cleaning your dogs gums. Bones also provide your dog with a magnificent all round body workout as they stretch, tear, pull and gnaw at their bone. Using their mouth and front feet, your dog will use virtually every muscle in their body. Fed twice a week with a raw meaty bone you will see the difference in your dogs overall dental health in no time. Wolf Tucker requests that dogs are supervised whilst eating bones.